INDIANAPOLIS - Birth control pills are known to be nearly 100 per cent effective when taken properly, but a recall of the drugs could send a shudder through women of childbearing age. A manufacturing mix-up by Pfizer Inc., the world's largest drug maker, led to some packets being distributed with the pills out of order. That means a patient could have unknowingly skipped a dose and raised her risk of an accidental pregnancy. Pfizer has recalled about 1 million packets of Lo/Ovral-28 and its generic equivalent, but the company estimates that only about 30 packets were flawed. The pills were made and shipped last year. 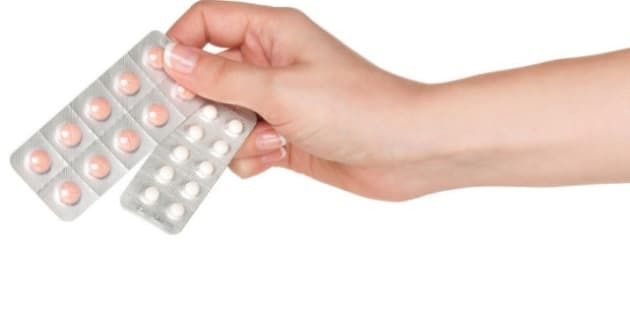 Each packet contains 28 days' worth of the prescription, with 21 pills containing the active ingredient that prevents pregnancy and seven placebo pills. The pills are normally colour-coded to note the difference. Women are supposed to take the pills in order and not mix the placebos with the active pills. Doctors say taking three placebos or more in a row negates the pregnancy protection. "Women who are potentially on this particular product need to be aware of (the recall) and take this quite seriously," said Dr. Steven R. Goldstein, a New York University professor of obstetrics and gynecology. The drug is not among the more commonly prescribed brands of birth control. The brand Lo/Ovral ranked 64th in U.S. birth control sales last year. The generic version, called norgestrel and ethinyl estradiol, ranked 30th, according to data firm IMS Health. Doctors and pharmacists say Lo/Ovral is an older version of the pill that is not as widely prescribed anymore. They do not expect many panicked calls about the mix-up. "Patients are pretty savvy," said Dr. Adam R. Jacobs, division director of family planning at Mount Sinai Medical Center. He said most women taking the pill would notice that the colours are out of order. Company spokeswoman Kristen Neese said the drug maker learned about the problem when a customer called late last year to report finding a pink placebo tablet in the middle of her white birth control pills. The company found a manufacturing problem and fixed it immediately. It issued a nationwide recall in late December asking pharmacies to pull the affected lots from their shelves. It then announced the recall Tuesday to consumers and the media after the Food and Drug Administration requested that. Pfizer did not announce the recall publicly in December due to the relatively small size of the problem and the low risk to patient safety, Neese said. The recall includes 14 lots of Lo/Ovral-28 tablets and 14 lots of the generic version. Both products are manufactured by Pfizer and sold in the U.S. by Akrimax Rx Products. A lot is a product batch or production run, made at one time and place and can include tens of thousands of individual packages, each with the same identification code for tracking. Pfizer said the packets are pink with the drug's brand name or generic name on it, along with the Akrimax name. Pfizer's logo does not appear on it.